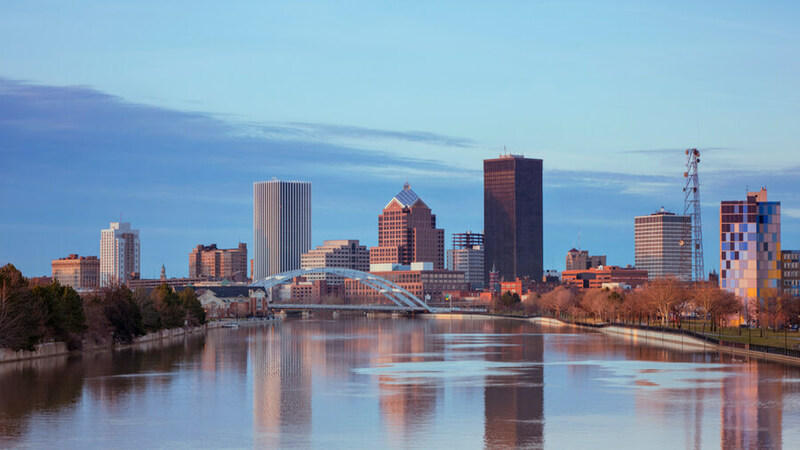 Huther Doyle, located in Rochester, New York, is a treatment center that provides outpatient treatment programs to clients with substance abuse disorders. Founded in 1977, the facility offers alcohol and drug assessments to individuals seeking outpatient treatment. With over 30 years in operation, the facility provides services to adults with substance abuse issues. The treatment center was founded by George Huther Jr. in 1977, as he expressed firsthand the difficulties and consequences of addiction. He then founded the facility to help other individuals suffering from the same disorder, creating a safe environment for treatment. The facility also offers preparation for relapse prevention to clients registered in the outpatient program. Other services offered include treatment programs for adolescents, adults, HIV-positive individuals, families, and clients with co-occurring disorders. Treatment approach to addiction recovery is based on the “Stages of Change” approach. At this time, the outpatient track at the facility has no set schedule as treatment is individualized. On admission, an intake counselor will conduct an evaluation in other to determine the level and type of care the client requires. Treatment at the facility comes in two phases, the first phase, and the second phase. After clients complete the first phase with one counselor, they are required to switch to another counselor in the second phase. The reason for switching counselors is to make sure that the client’s treatment is better rounded and comprehensive. Family involvement is a key aspect in the treatment of individuals and such, the facility encourages loved ones and family of clients to participate in treatment. Individual therapy with the clients and their family is available on request. The facility offers support for dual diagnosis and probation referrals are accepted as well. The facility also offers on-site mental health treatment to clients with mental health disorders. Also, treatment offered during the two phases differs as the first requires constant attendance in the group and individual therapy, while the second phase is mainly focused on reintegrating clients back into the community. Amount of time spent in treatment each week differs and the second phase gives clients a little bit of freedom to go to school, work, volunteer, and many more. Treatment schedules and plan changes but some are constant. From Mondays through Friday, group therapy takes place for two hours, multiple times a day. It can hold from 9 am to 11 am, 1:30 pm to 3:30 pm, and lastly 5:30 pm to 7:30 pm. Individual therapy holds at least once weekly, clients meet with their primary counselor for this therapy. The staff at the facility is made up of certified substance abuse counselors, and many others. The treatment center offers adequate and quality care to individuals with substance abuse issues, as well as offering counseling services to HIV positive individuals. The facility also offers outpatient treatment to clients with mental health issues and individuals seeking medication-assisted treatment. Special programs for clients in the Hispanic community are available as well. Huther Doyle costs are calculated depending on the type of service rendered. For an evaluation, its costs approximately $55 to $120. Medical screening costs approximately $25 and group or individual session costs $90 per session. Prices stated are subject to change as it is dependent on the type of care each client requires, and the phase at which each client is. Individuals seeking more information on payment and admission can contact the facility. The facility offers well-rounded and comprehensive treatments to clients seeking outpatient care. The facility also currently offers primary healthcare services in addition to its outpatient substance abuse treatment. This primary health care service comes at a different cost from the normal outpatient treatment cost. With over 39 years in operation, the facility is dedicated to providing adequate and quality care to an individual with substance use addiction. While operating for so many years, the facility has built a reputable name for themselves. For those in need of more intensive care, Huther Doyle might not be for you. But clients seeking affordable and quality care with a less intensive approach will find Huther Doyle to be a good choice.